5Forms Business Checks & Forms > Business Checks > 116001N Personal Accounting System 6 x 3"
Check Size: 6 X 3 "
An easy way to organize your business or home accounting records! 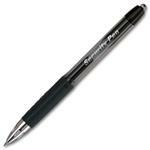 Captures the information you need for budget planning or taxes. 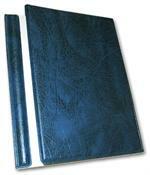 A complete system on a smaller scale that easily accommodates your accounting needs. Convenient personal size checks for people on the go. 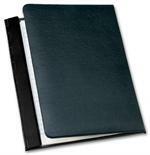 This Personal size accounting system includes Checks, Journals, Dual Window Envelopes, 1 Personal Size Folding Board. 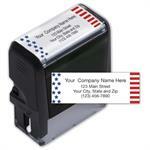 Add an additional Imprint Ink Color to your check, for an additional charge. For an order of 250, you will receive 1 - 101602N Personal Size Folding Board, 75 - 116011N Personal Size Checks, 25 - 116041N Double Window Envelopes, 5 - 116021N Personal Accounting Journals. WARNING: This product (folding board) can expose you to chemicals including DINP and/or DEHP, which are known to the State of California to cause cancer and birth defects or other reproductive harm. For more information go to www.P65Warnings.ca.gov. Enter Subheading (Payroll Account, Trust Account, etc.). 101603N Leather Folding Board 7 3/8 x 8 7/8"
116041N Double Window Envelope 3 9/16 x 6 1/8"
$91.56 116001N Personal Accounting System 6 x 3"